Online marketplace Amazon India on Wednesday started a hyperlocal grocery delivery service via an app in a development that could intensify competition for startups such as Grofers, LocalBanya and PepperTap. The local arm of Amazon.com Inc. launched its Amazon Now app that offers two-hour delivery for daily essential items. The service is currently available only in Bangalore and the app can be downloaded only from the Google Play store for now. Customers can use the app to buy household supplies, groceries, dairy products, cooking essentials, kitchen and home essentials, snack foods, baby care, beauty care and personal care products from Big Bazaar, Godrej's Nature's basket, Reliance Fresh, In & Out as well as the neighbourhood kirana stores. The entry of the world's biggest e-tailer into India's hyperlocal grocery delivery market will make life tougher for incumbents, many of whom have already started facing difficulties despite raising large amounts from private investors. Grofers India Pvt Ltd, the country's most funded hyperlocal grocery delivery startup, last month shut down its operations in nine cities after running a massive expansion drive. Mumbai-based Localbanya, a three-year-old online supermarket backed by Shrem Strategies and Bennett, Coleman & Co Ltd's Springboard Fund, stopped taking orders in October 2015. The firm's last-ditch efforts to resurrect itself seem to have failed as discussions with three major investment groups for fresh funding have fallen through. Amazon Now will also compete with Nearby, the app-only online grocery service launched by Flipkart in Bangalore in October. Flipkart already is the US company's biggest rival in the e-commerce marketplace segment. Mumbai-based ANI Technologies Pvt Ltd, which runs online cab hailing service Ola, also has a grocery delivery app called Ola Store that it launched in June 2015. Amazon's entry comes at a time when consolidation has already started in the segment. Gurgaon-based PepperTap, backed by online marketplace Snapdeal as well as SAIF Partners and Sequoia Capital, late last year acquired Bangalore-based hyperlocal grocery delivery startup Jiffstore. Amazon India also said it will soon launch a service that will allow merchants to sell used goods on Junglee.com, a subsidiary of the online behemoth. A spokesperson for Junglee said that the firm enables customers to buy new and used products from all types of sellers including individuals, home entrepreneurs and micro-businesses. 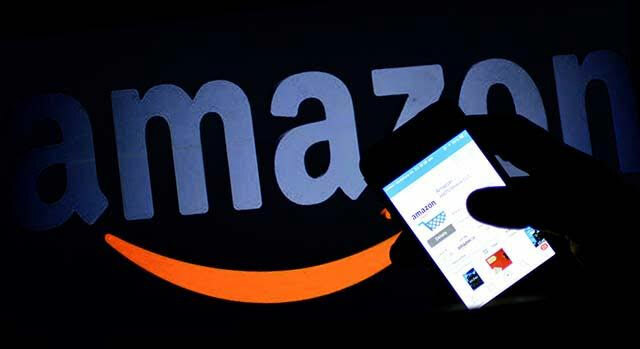 "Customers can transact directly with sellers using Pay with Amazon," the spokesperson said. Junglee, a shopping comparison site, was co-founded by Silicon Valley entrepreneurs Venky Harinarayan and Anand Rajaraman in 1996. It was acquired by Amazon in 1998 for $250 million. It set up its India operations in 2012.